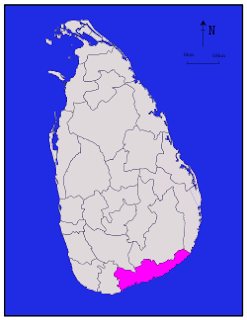 Hambantota is the main town in Hambantota District, Southern Province in Sri Lanka. Hambantota can be reached by scenic A2 coastal bus way (241 km) from Colombo as well as by A8 bus way and A18 (221 km) bus way travelling through the country side. With the opening of Southern Expressway running from Kottawa to Matara, Hambantota is reached in a much shorter period of time though the total distance is still at 242 km, i.e. Colombo to Matara (152 km) and Matara-Hambantota (91 km along A2 coastal road). The newly constructed Southern Expressway running from Kottawa to southern coastal town of Matara (126 km) is proposed to be extended to Hambantota. Hambantota was originally settled by Malay seafarers (the name is a corruption of “Sampan-tota”, or “Sampan Port”, alluding to the type of boat in which they arrived) and the town still has the largest concentration of Malay-descended people in Sri Lanka, with a correspondingly high proportion of Muslims and mosques .you really notice the call to prayer here. A few inhabitants still speak Malay, and although you probably won’t notice this, you’re likely to be struck by the occasional local face with pure Southeast Asian features. Historical evidence reveals thаt the region іn thаt era wаs blessed wіth fertile fields аnd а stupendous irrigation network. 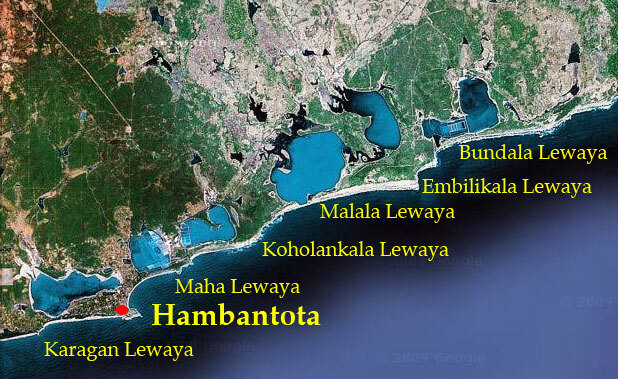 Hambantota wаs known by many names ‘Mahagama’, ‘Ruhuna’ аnd ‘Dolos dahas rata’. Dutch who built Forts in the harbour cities stationed their armies in those Forts. 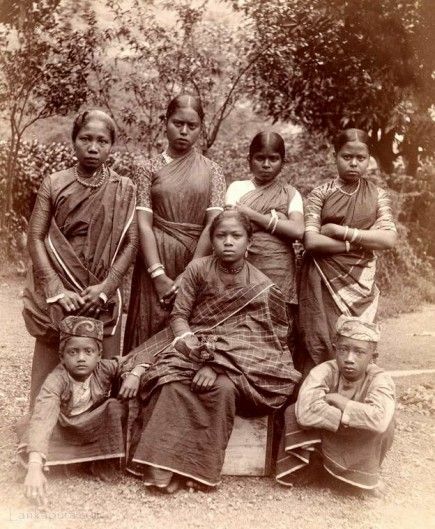 The Army was mostly consisted of nationals of Java Island (Malays), Dutch put up another Fort at Hambantota. “Hamban” is a small catamaran in which the people can travel. Muslim merchants mostly travelled by these.In 1664, British used “Hamban” to send secret messages to King of Kandy. Owner of it was a Muslim. 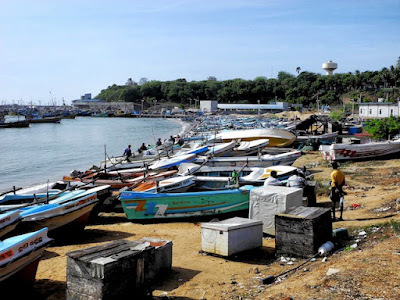 The place where most of the “Hambans” are parked was called “Hamban Thurai” (Hambantota).The people who travelled in these were called “Hambayo” (This name has been retained as a nickname to call Muslims).Muslims have also mostly used ships called “Sampan”. The People who travelled in them were called “Sampinar”. Malays still call the Moor Muslims as “Sampinar”. 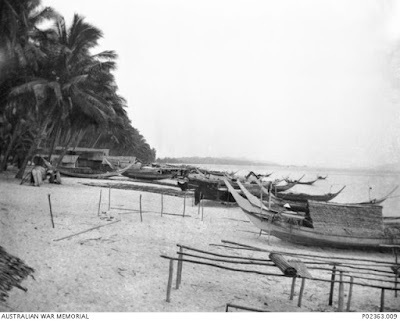 This is the reason that Malays live in numbers in the towns where Dutch built Forts. Around the years of 1801 and 1803, the British built a Martello tower on the tip of the rocky headland alongside the lighthouse overlooking the sea at Hambantota. The builder was a Captain Goper, who built the tower on the site of an earlier Dutch earthen fort. The tower was restored in 1999, and in the past, formed part of an office of the Hambantota Kachcheri where the Land Registry branch was housed. Today it houses a fisheries museum. From 2 August to 9 September 1803, an Ensign J. Prendergast of the regiment of Ceylon native infantry was in command of the British colony at Hambantota during a Kandianattack that he was able to repel with the assistance of the snow ship Minerva. Earlier, HMS Wilhelmina had touched there and left off eight men from the Royal Artillery to reinforce him. This detachment participated in Prendergast's successful defense of the colony. 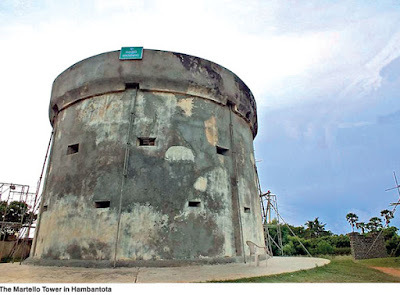 If the tower at Hambantota was at all involved in repelling any attack this would be one of the only cases in which a British Martello tower had been involved in combat. 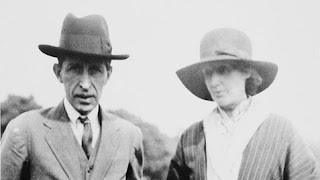 Leonard Woolf, future husband of Virginia Woolf, was the British colonial administrator at Hambantota between 1908 and 1911. The 2004 Indian Ocean Tsunami devastated Hambantota, аnd reportedly killed а large proportion оf the town's population. Climatically, Hambantota District can be said to be a dry semi-arid region that has hot dry weather characterised by bright sunshine. This applies to the majority of the district, but does change somewhat toward the highland area of the West and Northwest. These sections have a pleasant wet and cool climate. The mean temperature range is between 26oC in January, the coolest month, to 30oC + in April the hottest month. Hambantota is the salt capital of Sri Lanka. 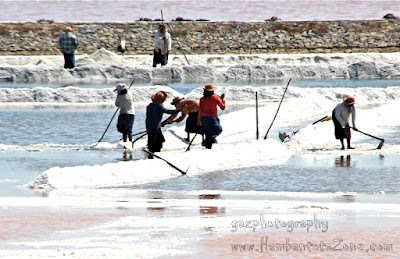 Salt is produced by letting seawater into the lewayas, the sometimes dazzlingly white saltpans which surround the town, and allowing it to evaporate, after which the residue is scraped up and sold.. At present the salt industry, which produces 30% of the total salt production of the country, is the major industrial activity in the District and also one of the oldest in the land. Salt is a raw material for a number of secondary industrial products such as magnesia, potash, magnesium sulphate and gypsum which are utilized in other industries. Paddy milling is a major industry in the region. Citronella, cinnamon, pepper, and coffee are just some of the minor export crops being cultivated in the region.In Hambantota District agriculture is the main form of economic activity and over 55% of the total population depend on agriculture in its various forms for a living.Coconut is the main commercial crop in the District. The by-products of coconut cultivation could become a lucrative business for those interested. Copra-mills, coconut oil, coir mills, distilleries, the possibilities are endless. Even coconut shells are used by craftspeople to turn out little curios, costume jewellery, ladles etc. There is wide variety of interesting sites and activities to cater to the interests of everyone. From the lovely beaches there is the potential for wind surfing, scuba diving and snorkeling. Parks and sanctuaries abound for wildlife enthusiasts, Kalamatiya lagoon which provides for a bird sanctuary located between Ranna and Ambalantota . If Hambantota today is interesting, its past is certainly more tantalizing. There are ruins and places of religious interest filled with legends and so steeped in rich history that it is enough to make one marvel at the bygone era. Hot springs are a geological phenomenon in this country and a few are situated within the District of Hambantota. Some are located in close proximity to the famous forest monastery at Madunagala. Among other places of interest, is ‘Hummanaya’ or the blow-hole which is another sight to behold. In the Bundala Bird Sanctuary, flamingos are often seen during the north east monsoons. Elephants retreat to the Bundala salt pans during times of drought. The Weerawila Sanctuary encompasses the Wirawila and Tissa Wewa (reservoir). Many aquatic species of birds and a great many jungle animals settle here. The eastern limit of the south coast is marked by Ruhuna National Park best known simply as ‘Yala’. It’s well known for sightings of wild elephants and many other forms of wildlife. This is one of the best places in the world for viewing leopards in their natural habitat. Offshore from Yala are two sets of rocky islets, the Lesser and Greater Basses, each marked by a lighthouse. The world famous author and Scientist Arthur C Clarke considers scuba diving along the Basses reefs to be the best in Sri Lanka. The township of Kataragama lies just beyond the south-eastern border of Hambantota District. Kataragama is a place of religious importance to the Hindus, Buddhists and Muslims alike. People from all religions come on pilgrimage to worship and make offerings to their deities. Hambantota no doubt is a dream for the outdoor type, the bays to swim and fish in, the lagoons for a relaxed evening of bird watching and the jungles to roam in.